The Learning target for today is to demonstrate understanding of vocabulary through the use of Metaphoric representation. Click here to go to Quizlet to review vocabulary. Go here to write your Vocabulary Metaphors in your Kidblog.org. When I read that definition I began to think about my advisory students who are preparing for the NWEA test. To help them improve their math scores I am bringing them in the computer lab to review. I feel like this test is like an ocean current because it is directing the path of education. The direction of education is currently moving to align more and more with the tests. Teachers and students are under great ”forces” to be successful. 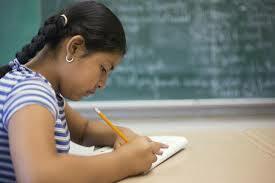 Ocean currents are controlling the flow of water and tests are controlling education. 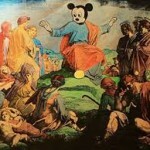 This image represents front because the Mickey Mouse character is a boundary between the two different masses of people. 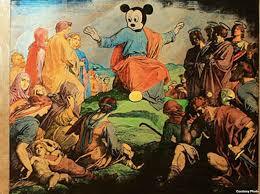 Also the Mickey Mouse looks like he in the atmosphere. This connects to the vocabulary word because “Front” is a boundary between two masses of air. The mentor texts are present to model for the students the quality of writing that is expected in their blog posts. The use of Metaphors to connect to vocabulary was modeled in my classroom yesterday with the help of our wonderful, special education teacher, Mrs Hogan. CLIMATE: the climate in the desert stays the same all the time. A picture of a desert climate to be a metaphor for climate? The picture does represent a climate but not metaphorically. I need to figure out how to engage the students at a higher level of thinking to create metaphors instead of literal representation. Ocean Current: The steady flow of surface ocean water in a prevailing direction. 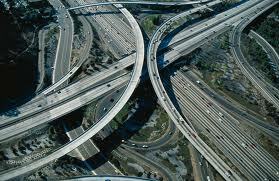 This image of a highway is like an ocean current because the movement is continuous. Atmosphere – is a mix of gases that surround the Earth. When I think of the atmosphere I think of salad, because salads are always mixed with something, weather it’s salad dressing, fruits and vegetables, etc. Students need constant reminders of expectations. When expectations are not met teachers need to guide students back to the goal of the learning activity. Teachers need to point the students towards high quality examples of work. Allow the students to assess their own work and give them time to make the necessary changes. Students seem to rush into assignments with the desire of completion. Monitoring needs to occur to make sure learning targets are achieved. Previous Post Duck Dynasty Math, Science infused instruction!